Learn everything it takes to go from raw, ethically-sourced cacao beans to wrapped Hanukkah gelt in this hands-on, DIY workshop! Led by Alex, professional-chocolate-maker-turned-jewish-educator and current Jewish Farm School JOFEE Fellow, we will explore the fascinating history of the jewish relationship to chocolate, and learn how to make chocolate from scratch without anything more complicated than an oven, a blender, wind, and lots of finger strength! In this workshop we'll talk about common kitchen herbs that can boost immunity and ease symptoms of a winter cold. Together we'll make a cough syrup and sinus steam, and we will cover cold- and flu-fighting properties of other herbs and how to use them. If you have an extra 4-8 oz jar, bring that along! Kelly McCarthy is a clinical herbalist and educator who brings years of training and a deep love for accessible medicine to her work. She runs her own business, Attic Apothecary, based in West Philly. Prepare for Hanukah with ceremony and self-reliance! Join JFS for a candle-lit candle-making ritual and DIY introduction. We’ll use pure beeswax, all-natural supplies, and seasonal magic to create our very own set of Hanukah Candles. Led by Alex Voynow, Jewish Farm School's JOFEE Fellow, we'll explore practical, ceremonial, and mystical aspects of candles, light, Hanukkah, and beeswax! In the spirit of Sukkot, join the Jewish Farm School as we share knowledge of basic power tool use, structural design, and safety by working together to create a Pergola and a ramp to make the patio space handicap accessible. All levels of familiarity with carpentry (including zero) are welcome! 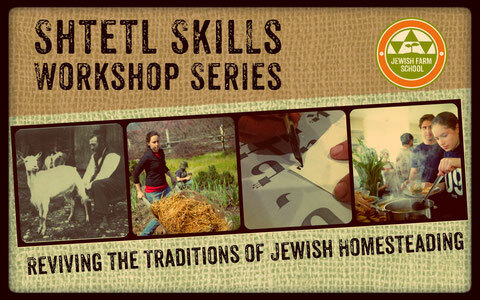 This workshop will be led by Jewish Farm School co-founder and director Nati Passow and JOFEE Fellow Alex Voynow. Nati brings years of experience in carpentry, structural design, and permaculture, and Alex brings slightly less of all that. In this panel discussion and workshop, we will learn from activists, educators, and practitioners dedicated to transforming communities through new models of economics, as they guide us through an exploration of new, old, and liberated ways to relate to money. We will ground into ancestral Jewish understandings of economics as they relate to agriculture and communal interdependency, and from there explore community economic models as they exist today. We will glimpse and learn about networks of informality, cooperation, and community-oriented finance that are growing and thriving in Philly, and how we can connect into them. We will be joined by Jamila Medley, Director of the Philadelphia Area Cooperative Alliance (PACA) and Jena Harris, organizer of FoodEveryoneDeserves (FED). The panel will be moderated by activist extraordinaire and founder of Fikira Bakery, Al Pascal. Join us for a guided wild plant walk through the east side of Fairmount park! Participants will learn local plant identification, taste wild edibles, and learn on-the-spot tincture making. Instructor Marian Dalke is a Community Herbalist and Urban Garden Manager at Norris Square Neighborhood Project. Her passion for the natural world began as a child, and she believes that food and health belong in people’s hands. Marian works towards a just food system where all people have access to healthy, nutritious, & culturally affirming foods. You've threshed and winnowed and tithed to the great temple all you could this year but the new harvest has just come in and you STILL have all this leftover grain? We have the perfect solution! Come join the Jewish Farm School in partnership with our new neighbors, Dock Street Brewery, for a homebrewing workshop and brewery tour! Taylor, seasoned home brewer and Dock Street tour guide, will lead us through the steps of brewing beer in a home kitchen, and together we'll explore the methods, minutia, and magic of this milenia-old process. And as an added bonus, we'll get a quick and dirty tour of Dock Street's commercial-scale brewing operation! This workshop has a required $5 materials fee for each participant in addition to the suggested donation of $10-$20. Come join us for part two of our exploration of the magic of bread baking! 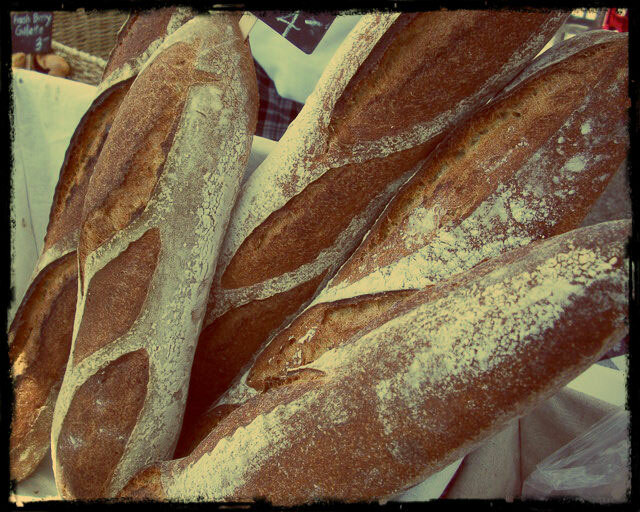 In early June we celebrated the traditional time of the wheat harvest in our Sourdough 101 workshop, and now Fikira Bakery and Jewish Farm School are inviting you and the bounty of summer into our doughy alchemy. Al, founder of Fikira Bakery, and co-chef J.A., founder of foodeveryonedeserves (fed), will share their very own multigenerational, whole grain starter, and walk you through every step of the awesome sourdough process. Stay tuned for Sourdough 201! This workshop has a required $5 materials fee for each participant in addition to the suggested donation of $10-$20. Everyone will go home with a sourdough starter. In honor of Shavuot, Jewish Farm School invites to you join us in learning to make delicious feta from raw goat's milk at home. This workshop will be led by Alex Jones, a cheesemonger, writer, food educator, and regional food systems advocate who has been working with farmers and artisans in Pennsylvania for the past eight years. She is one-third of the team behind Collective Creamery, a women-powered artisan cheese subscription based in southeast Pennsylvania, and has written for publications like CivilEats.com, BillyPenn.com, Edible Philly, Edible Jersey, and Grid. She is a regular contributor to Foobooz.com, Philadelphia magazine's food and drink blog. Alex teaches cheese appreciation and pairing as well as home cheesemaking in and around Philadelphia. Why exactly do many Jews eat dairy on Shavuot? How can we connect ourselves, our families, and our communities to local and seasonal dairy? Sign up for this workshop to find out! There are a few key winter planning activities that can help gardeners set themselves up for success in the spring. In this workshop, you’ll learn how to make a 'crop map’ for your garden, a tool that can incorporate crop rotation, succession planting, and how to intercrop to get the highest yields out of your space. We'll also discuss how to use your crop map and simple research, to create a 'planting plan' that will help you determine when to plant your crops to make the most of your plot throughout the entire growing season. If you have a garden, bring a sketch of your intended planting space (with approximate dimensions) to create you individualized map and plan. No garden or experience is required to come and learn! Hannah Slipakoff is Jewish Farm School’s Program Manager. She’s been engaged in community farming for over 10 years and currently manages the production garden at KleinLife JCC in Northeast Philadelphia. As the seasons change, days shorten, and temperatures drop, mid-November is a great time to holistically prepare your garden for winter. We’ll discuss strategies for season extension, over-wintering crops, weatherization, and more. Join us for an evening stroll to learn about the medicinal properties of some common weeds and trees that grow in Philadelphia. Basic plant ID and foraging covered, no experience necessary! Our guide will be clinical herbalist and educator Kelly McCarthy. Kelly brings years of training and a deep love for accessible medicine to her work. She runs her own business, Attic Apothecary, based in West Philly. This workshop is the second in our Summer Preservation Series. Join gardener and canner extraordinaire, Ari Rosenberg to learn canning basics while making mid-summer salsa and stone-fruit jam. This workshop has a required $5 materials fee in addition to the suggested donation. All attendees will go home with some salsa and jam. In honor of bikkurim, honoring the first fruits during the celebration of Shavuot, join the Jewish Farm School for this guided Edible Plant Walk through West Philadelphia's Cobbs Creek Park. Participants will learn plant identification skills and will delight while sampling wild edible foods. This workshop will cover techniques to improve production in small scale vegetable gardens. Some of the topics we will cover will be direct seeding, transplanting, trellising, crop fertility, and pest and disease management. Adrian Galbraith-Paul is a Philadelphia farmer who runs Heritage Farm, a three acre urban farm located in Wynnefield, Philadelphia. In this dynamic workshop we'll cover the biological basics of composting, best practices for managing small-scale, urban composting, compost application and soil health, plus several different methods for constructing your home or garden compost system. From sustainably handling kitchen waste to building nutrients for your home garden, this workshop will cover a wide range of topics meant to empower the urban homestead enthusiast. Hannah Slipakoff has been farming and composting for over ten years and is the new program manager of the Jewish Farm School. In this class we will learn how to mend and prolong the life of our clothing. Some of the skills we will cover are sewing on buttons, fixing rips, and learning how to create your own unique patches to cover holes in your clothing. 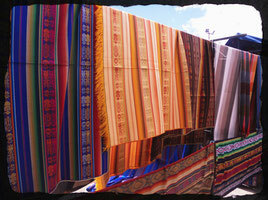 If you want, bring a piece of clothing that needs mending with you! You will also be able to take home supplies to make your own patches. Liora Lebowitz is the Program Coordinator and JOFEE Fellow for Jewish Farm School. She has previously worked at Eden Village Camp, and the Teva Learning Center, and now is enjoying her new favorite city of Philadelphia. After scheduling and experiencing so many of the amazing workshops in the Shtetl Skills series, she is excited to finally be leading one! Liora has been sewing since the fourth grade and it has been her favorite hobby ever since. In preparation for Passover, Simone Lindenbaum, Assistant Director at Eden Village Camp, will be teaching you how to make our very own soap! Additionally, herbalist and professional housecleaner, Kelly McCarthy will walk you through making your own safe and effective disinfectant all purpose house cleaning spray. We will also cover how to make a natural soft scrub solution for tubs and sinks. These cleaning products are safe for people and pets, and smell good too! In this workshop, we will cover some simple remedies you can make in your kitchen with commonly available herbs to help ward off the common cold and flu. You will learn how to make a cough syrup, fire cider, anti-microbial tea, and a sinus clearing steam. We will also cover guidelines for using immune-stimulating herbs like Echinacea and Elder. Everyone will go home with a jar of fire cider! You can either bring your own 8oz glass jar with a lid, or you can purchase a jar with your ticket order. (The option to purchase a jar will be shown when you checkout). Kelly McCarthy is a clinical herbalist with a passion for connecting people with the plants growing outside their door. Kelly uses a DIY approach and sees herbalism as a tool for social justice. In 2017, she is offering an 8 month intro to herbalism course, Building Your Home Apothecary, through Bartram's Garden. In the winter, there are a few key planning activities that can help gardeners set themselves up for success in the springtime. In this workshop, we'll explain how to create a 'crop map' for your garden, including how to decide on a crop rotation, how to plan for multiple crops in one bed, and how to intercrop to get the highest yields out of your space. We'll also discuss how to use your crop map, along with a little research, to create a 'planting plan' that will help you determine when to plant your crops to make the most of your garden throughout the entire growing season. If you have a garden, bring a sketch of your intended planting space (with approximate dimensions) and we will plan hands-on crop maps for participants' specific spaces-- but no garden or experience is required to come and learn! Nicole Sugerman has been a small-scale, organic-method farmer and farm educator for over ten years. She currently works as the co-manager of Guild House Farm, a project of Greener Partners in North Philadelphia. As GHF co-manager, she shares responsibility for all aspects of maintaining a half-acre production farm, a high tunnel, and a small fruit orchard. She also supports an onsite community garden and leads educational programming. Nicole is passionate about growing food as a mechanism for building community resiliency and strength. Come learn the basics of water bath canning in order to preserve the local harvest this summer and the less local citrus fruits of winter. During the class we will go over food safety, techniques for preserving different types of fruits and vegetables, and tips for proper storage. We will be making citrus marmalade and spicy pickled carrots that you will be able to bring home with you. Drew Gold has a deep love for food, from growing, to cooking, to preserving, to storytelling. She has ten years of experience cooking and growing food with a strong focus on how our food systems play into social justice issues. She has experience running school gardens and small farms, cooking in restaurants, and teaching people of all ages how to grow, cook and preserve their own food. She feels that the kitchen, the garden, and the act of sharing food has great beauty and power in bringing people together. Drew has found a home and community in Philadelphia and is proud to be part of local efforts toward a more just food system. Ari Rosenberg is a passionate activist who is working to create a more just society through community action and organizing. She has been growing food for over 14 years in both rural and urban environments, and has been supporting urban youth in connecting with their food, gaining entrepreneurship skills and developing and enhancing leadership skills for over ten years. When not growing, cooking, or preserving food, you can find her biking or running around the city. Join Jewish Farm School and Tribe 12 to learn how to make your own hummus and pickles from local hummus expert Michael Bomze and Jewish Farm School director Nati Passow. Together we will make a batch of hummus to enjoy with fresh bread and sides and participants will get to take some home. We will also make both lacto-fermented and vinegar based pickles. Beer will be provided. Michael Bomze has been making hummus for several years, working closely with local farms to integrate the freshest local produce into his recipes. He donates proceeds from his sales to urban farms around the city. Nati Passow has been enjoying pickles since he was a little kid. He particularly loves the hummus and pickles combo with some hot, fresh pita. What do you need to do to get your garden ready for the cold weather? How can you best protect your soil, nutrients, and plants over the winter? What can you do now to get your garden in good shape for the spring? In this workshop, we'll discuss different methods and aspects of getting a garden winter-ready, including cover cropping, mulching, and protecting perennial plants. We'll also share strategies and best practices for continuing to grow food throughout the coldest months, including which crops are most cold-hardy, how to protect your crops from winter weather, and how to store your crops for longevity. Fall and winter are known as times of quiet reflection and stillness. It can sometimes be hard to believe with the beating our bodies take -­ dry skin, colds, coughs, runny noses - ­it all can make us feel less than stellar. In this class, we will learn how to make elderberry syrup and a beeswax salve. Elderberries are a long used preventative and remedy for colds, and elderberry syrup is naturally supportive medicine that is surprisingly versatile! We’ll go over making an infused oil, chock full of herbs to prevent and heal, then mix it up into a salve to be used throughout the winter months. Stephanie Kane is a community herbalist living in Philadelphia, PA. She loves all things DIY, and studies herbalism on the side while sourcing local products at Weavers Way Co­op. Learn how to preserve rare heirloom fruit and vegetable varieties for future generations! Join us for a hands-on workshop where we will learn various seed-saving techniques. Nate Kleinman is a farmer, activist and organizer native to Philadelphia. He co-founded and co-directs the Experimental Farm Network, a cooperative plant breeding and agricultural research network. He is a member of the Seed Advisory Committee of the Non-GMO Project and serves on the Board of GMOFreePA. Get inside the world of fungi with us! Did you know that all you need to grow your own mushrooms is wine caps and wood chips? Tyler and Brian from Mycopolitan will walk us through the fun process of establishing a wine cap patch in our yards and making our own local oyster mushroom kits. They'll also discuss how they approach observing mycelium, reading mushrooms, and what that has taught them about Fungi and Life. Anyone can learn to think like a mushroom, and it will make not only for greater yields, but a greater knowledge base to build on when embarking on future projects. Whether you have some grows under your belt or this is your first time working with mycelium-- and even if you've tried and failed-- you will leave this workshop ready to further your exploration of fungi. It will be fun, guys! The city is alive! Our own communities are abundant with organisms that can promote our health and well-being. Medicinal plants thrive in sidewalk cracks and empty lots in Philadelphia. Join herbalist Kelly McCarthy as we walk around the neighborhood to learn about how these plants are used for medicine. We'll cover basic plant identification, sustainable harvesting practices, and medicinal uses. Did you know that the human gut contains more bacteria than human cells in the rest of your body by a factor of 10? Or that over half of the nerve cells in our body reside in our gut? Join Ari Rosenberg, passionate activist and urban farmer, for a fun, hands-on workshop where will find out how maintain a healthy balance of our microflora. Learn about the amazing healing powers of fermentation and make delicious kimchi and sauerkraut to take home. Engage in conversation about the art of preservation in reducing waste and creating a more symbiotic, sustainable world. Ari Rosenberg is a social justice champion working to create a more just society through community action and organizing. She has been growing food for over 13 years in both rural and urban environments and supporting urban youth in connecting with their food, gaining entrepreneurship skills and developing and enhancing leadership skills for over nine years. She is currently Co-Manager of Guild House Farm in the Poplar neighborhood of Philadelphia. When not growing, cooking, or preserving food you can find her biking or running around the city. Thursday September 17th, 7:00-9:00 PM @Ahimsa House 5007 Cedar Ave.
quill, techniques for aligning a column of text, rhythm and consistency, and meditative intention. Julie Seltzer is a scribe, educator, and artist, and the second woman in history known to have written a Sefer Torah. Currently, Julie is writing a work of creative non-fiction chronicling her experiences writing a Torah on display at the Contemporary Jewish Museum in San Francisco. She is originally from Philadelphia, PA and resides in the small desert town of Mitzpe Ramon, Israel. Join expert gardener, beekeeper, chicken raiser, and chef Anna Herman as she guides us through her garden via the cycles and celebrations of the Hebrew calendar. We'll explore the ecological and agricultural roots of the Jewish calendar while learning valuable practical skills for growing your own food and living more sustainably. Anna Herman is a Penn State Extension Urban Garden Educator and the coordinator of the Penn State Extension Master Gardener program. She also directs the Teen Leadership Corps (TLC) at Awbury Arboretum, an urban agriculture youth entrepreneurship program in NW Philadelphia. Anna makes “Backyard Botanicals” - elixirs and tonics from her herbs and honey, and a line of handmade cold process herbal spa soaps with her daughter Emma. 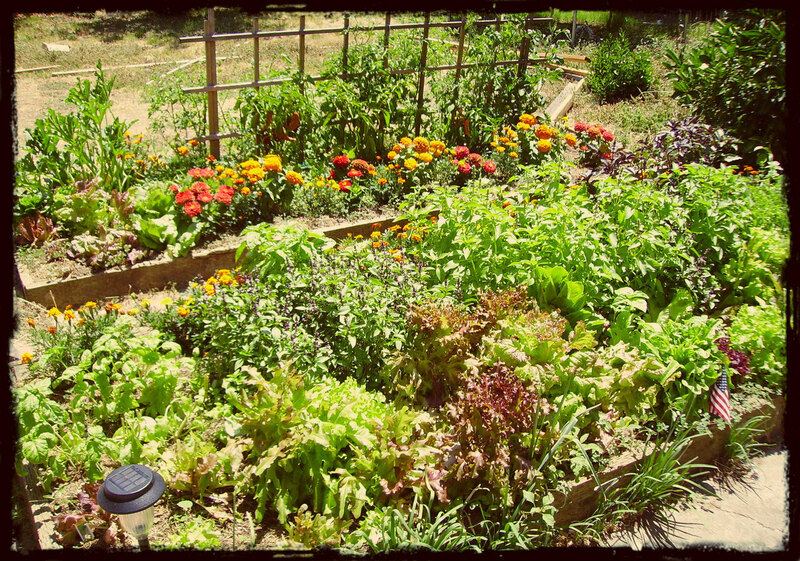 This workshop will focus on creating and sustaining productive small scale vegetable gardens. We will go into detail about how best to prepare beds for planting, when to plant different vegetables, and easy methods of improving soil fertility and controlling insect pressure with biodiversity. In the course we will build and plant into a vertical growing column which is a productive alternative to raised bed gardening. Adrian Galbraith-Paul is a vegetable grower and forager living in West Philadelphia. He is the farm manager at Heritage Farm, a three acre non-profit farm in Philadelphia that provides low cost fresh vegetables to community members and sells to restaurants throughout the city. Adrian is passionate about designing garden and farm systems that mimic nature and are easy to maintain. Meet at the intersection of Springfield Ave. & Cobbs Creek Parkway. Please note: this is a new date because the workshop on the 27th was postponed due to rain. 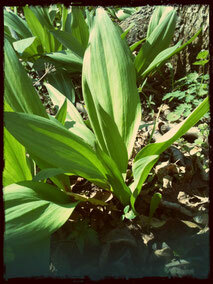 The world is abundantly full of wild edible plants growing all around us, even in an urban environment. This year in the Hebrew calendar is the Shmita (sabbatical) year in which agricultural activity ceases, and wild growing plants play a larger role in our diets. Join David Siller as we uncover the wild edibles of West Philadelphia, explore their nutritional value, and learn how to identify them. David Siller is a man of the earth. He is a skilled farmer, forager, builder and permaculturalist. His daily activity is both in teaching others this knowledge and helping others realize their personal earthly dreams. You can find out more about him on his website. Join baker and mystic Rachmiel Gurwitz in this hands on bread baking workshop. Together we'll make dough for a french baguette and challah, explore the role bread has played in Jewish tradition, and learn tricks for successful baking in a home oven. Participants will go home with dough for their own baking adventures. Rachmiel Gurwitz first got into baking as a coordinator for Challah for Hunger at UC Santa Barbara. He then refined his expertise as the in-house baker at Eden Village Camp, preparing the daily bread for 250 campers and staff. Rachmiel is currently a first year rabbinical student at Yeshivat Chovevei Torah in New York City. Explore the concepts and values of the Shmita (Sabbatical) year and it's connection to modern day Permaculture. Together we will cover the core Permaculture design principles, learn about their various applications, and examine how Shmita practices can be integrated into contemporary food systems. In the Shmita (Sabbatical) year we are asked to release all debt and claims of private land ownership. In this class we'll explore the implications of these practices while connecting them to the emerging field of Financial Permaculture and modern examples of community based economic systems. Participants are encouraged (but not required) to register for both classes. Taught by JFS Director Nati Passow. A workshop on how to embrace Passover through choosing foods that liberate the body and mind of excess toxins and weight that keep us enslaved to unhealthy habits. The seed saving workshop and exchange will include hands-on activities and a short lecture about best seed saving techniques for urban gardens. We will conclude with an exchange of seeds, plants, recipes and stories. Please bring seeds, plants and recipes you want to swap and share. Taught by Joel Meredith Fath. Joel is the Chef and Kitchen/Garden Manager for Pendle Hill Friends School, in Wallingford, PA. He has worked on organic farms and gardens in Michigan, Indiana, Ohio and Pennsylvania the past ten years. Prior to working in agriculture he traveled internationally as a freelance journalist and photographer. His family is currently developing an organic aronia berry wine and vinegar of Susquehanna Permaculture. Develop the basic skills to make your own herbal tinctures, salves and discover the basic principles and healing powers of herbs that grow in and around Philadelphia. Taught by Baruch Shapiro, Clinical Herbalist, and Founder and Director of the Israel Herb School. Baruch has been involved with nutrition, herbs, and healing for over 20 years and has been certified to teach and practice by leaders of the American Herbal Medicine guild and Native American Elders, including Michael Moore, Tierraona Low Dog, M.D, James Green, and David Hoffman, MNIMH. After studying Permaculture with Bill Mollison in the 90s and ecological community building in Permaculture with Jan Bang, he has been active in healing, grassroots peace and environmental action for the last 15 years in Israel. During this time he built an ecological home with his family, and an educational center where he offers courses on Herbal Medicine, Jewish Healing, and Deep Ecology in the winter and spring. He also leads retreats in the United States both in natural settings and at fine institutions of learning, as well as being the Herb Program Director at Eden Village Camp in upstate NY. Join Margaret Kearney and Rachel Katz to learn the basics of spinning wool, weaving, and wet felting. During the workshop participants will hear about the history of fiber arts, gain some introductory skills, and work on small projects to take home. Explore the concepts and values of the Shmita (Sabbatical) year; in conversation and through hands-on work we will connect them to contemporary community building and food production efforts. Learn to make goat cheese with Master Goat Cheese Maker, Aitan Mizrachi. Explore the history of dairy and cheesemaking in Jewish tradition, as well as modern issues concerning raw and organic cheese right here in Philadelphia.This workshop will provide you with the skills to make your own cheese at home. Aitan Mizrachi is the former Dairy Manager at Adamah Dairy. Aitan always knew he wanted a profession that was based on do-it yourself, off-the-grid skills. He was introduced to goats in 2004 as an Adamah Fellow in Falls Village, CT and has been building his craft ever since. Permaculture is a design system utilized to create human habitats that mimic the patterns of nature. In this workshop on urban permaculture, students will learn the wisdom of the "Zone Map," a tool for the appropriate placement of sustainable human systems relative to the whole global ecosystem, the biosphere. Strategies for the production of food and other renewable resources in dense urban areas will be discussed and demonstrated. Benjamin Weiss is a certified permaculture teacher and designer, an organic farmer, writer, poet, and musician. Join us as we fulfill the traditional mitzvah of building and decorating a sukkah using reclaimed material and block-print art. Together we'll learn about the roots of Sukkot and what the sukkah can mean to us today. For this workshop bring water, snacks and lightly used cloth to make your own sukkah decorations. Join David Siller of Cobblestone Krautery to explore preserving your summer garden. Together we'll be making kraut, applesauce and the even more delicious apple butter. David is an earth artisan, farmer, naturalist, primitive skills practitioner, fermentation enthusiast and yogi who currently works for Perkins Lane Farm in Westville, NJ. The workshop will focus on three fun activities which will provide the skills and materials necessary to start growing mushrooms at home. We will work with Oyster, Wine Cap Stropharia, and Shitake mushrooms, however other gourmet and medicinal varieties are grown using similar methods. Tyler Case has been foraging, researching and growing mushrooms for a decade and teaching folks of all ages for the past two years. He is inspired by what mushrooms teach him and views the purpose of his work as helping to integrate fungi into the community with the hopes that we can all be better healers and stewards of our planet. Tyler along with co-instructor Brian Versek and another partner have established Mycopolitan Mushroom Company which will be Philly's first urban mushroom farm. Mycopolitan is seeking additional funding before setting up an indoor facility in the basement of Common Market's warehouse as part of the "Philly Good Food Lab." Mycopolitan will serve local restaurants and markets with gourmet mushrooms while researching new exotic varieties and methods for improving agricultural systems. Tyler's blog which focuses on all things mushrooms can be read at www.chickenmushrooms.com.